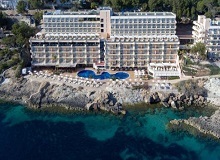 Its seafront situation offers you a breathtaking view of the Bay from every part of the hotel. Please note that the Iberostar Jardin Del Sol Suites is an adults only hotel. With excellent facilities and comfortable accommodation, this hotel complex is set in a central location with lots of local amenities nearby; an ideal choice for a relaxing and fun filled holiday. If you want to be in the heart of the action, the Rey Don Jaime is the perfect choice. It's just across the road from Santa Ponsas picture-perfect beach. Plus you'll find all the other holiday essentials on your doorstep, including shops, restaurants, nightclubs and even a golf course. 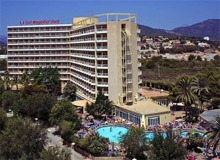 Majorca SouthPalma - 5 Star. The most exclusive 5-star hotel in the area. The Iberostar Playa de Palma is located just two minutes from the beach. 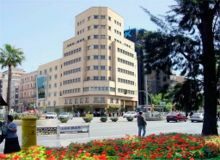 The Valparaiso Palace is a spectacular hotel whose high standards of comfort and service have given it the most enviable of reputations. It stands in a quiet residential district with superb views across the bay. 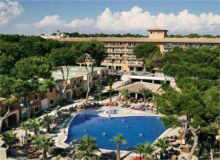 Overlooking the idyllic Playa de Palma beach, the Iberostar Llaut Palma provides an unforgettable guest experience in the heart of this lively resort. Majorca SouthPalma - 4 Star. The Hotel UR Palacio Avenida is a modern and elegantly refurbished boutique hotel for adults in centre of the city. Due to its central location plenty of facilities are available nearby including shopping areas, golf courses, bars, restaurants, boat trips, winery tours and excursions etc. 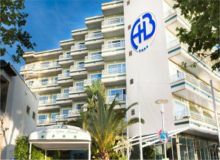 The HM Gran Fiesta hotel is situated in a prime location overlooking the beach in Playa de Palma, in the south west of Palma de Mallorca, just a few minutes drive from Son San Joao airport and from the city centre. 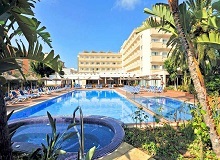 Hotel THB El Cid Class in Playa de Palma is a lovely 4 star hotel which located on the sea front in one of the most scenic part of the island. Which contain relaxing facilities such as spas, pools and saunaâ€™s in the hotel and wide range of bars and restaurants just a few minutes away. An urban hotel in Palma de Mallorca that combines modern facilities, a high degree of comfort and a fresh ambience, with charm and excellent customer service. The hotel is located close to the cathedral as well as the exciting neighbourhood of Santa Catalina and Bellver Castle, close to the city's main places of interest. This 4* hotel offers views of the stunning Palma Bay and the Cathedral its location allows guests to discover the city during both the daytime and the evening. Perfectly situated overlooking the magnificent marina in Palma de Mallorca on the seafront promenade in the heart of the city. A modern and recently renovated boutique hotel in Palma, with fresh, innovative design throughout, which will awaken all your senses and unchain you from routine. 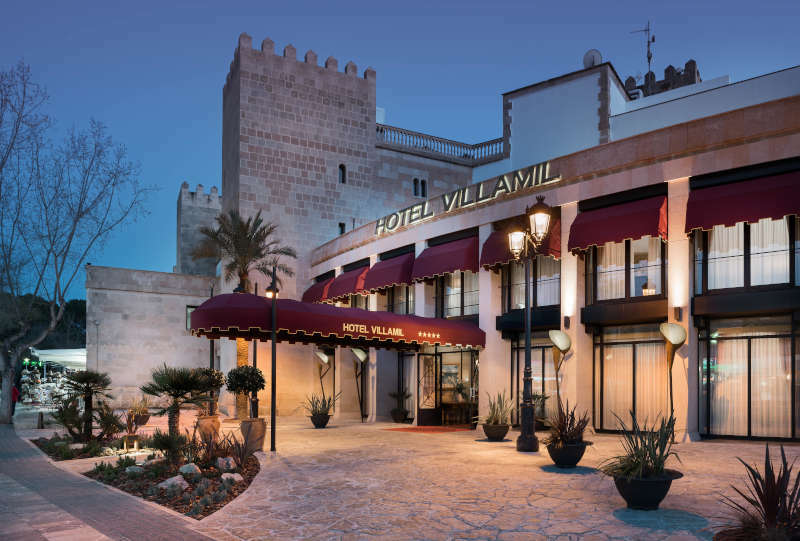 Recognized as one of the best hotels in Palma de Majorca. 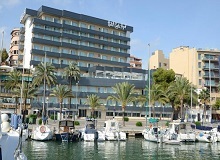 The hotel is located near one of the main highways in Palma, a vibrant area with extensive leisure opportunities, numerous shops, restaurants and trendy bars. This elegant hotel prides itself on the spectacular panoramic views of Palma bay, the Cathedral and Paseo Maritimo seafront promenade it offers its guests. 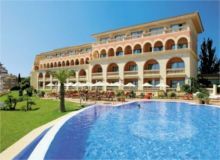 With its fantastic location, excellent service and extensive facilities it's the ideal setting for a holiday on the Majorcan Island. Majorca SouthEl Toro - 5 Star. This luxurious hotel, located just above a small leisure marina, has a sandy beach literally just steps away. It bathes in the reflected light and colours of the blue sea and sky, verdant nature, and the glowing red horizon of the evening setting sun. The hotel slices the coast between the beaches of Son Matias and Palma Nova, so there's sand outside and sea views from every room. It's 5 minutes' walk from the centre of town, and less than 15 to Magaluf. Located 120 metres from the Palmanova beach. An All Inlcusive Resort with 4 pools, one of them a spectacular lagoon style pool. Enjoy the great entertainment for all the family. This wonderful complex is ideal for family vacations and getting to know one of the most the beautiful islands in the Mediterranean. The Globales Palmanova is ideal for relaxation and leisure. Spend your days relaxing by the pool or the resorts nearby sandy beaches. The town's many cafes, restaurants and shops are only a short walk away. The Rosa del Mar Aparthotel is a great 4 start hotel for families and couples looking to participate in fun and relaxing activities with spas, solarium, pools, slides etc available. The hotel is ideally located in a quiet area close to the beach making for a comfortable and enjoyable stay. The Agua Beach Palma Nova is a beautifully renovated 4-star hotel for adults with a spectacular view of the Mediterranean Sea. The hotel contains facilities to allow guests to unwind and relax which makes it an ideal getaway for couple and / or friends. 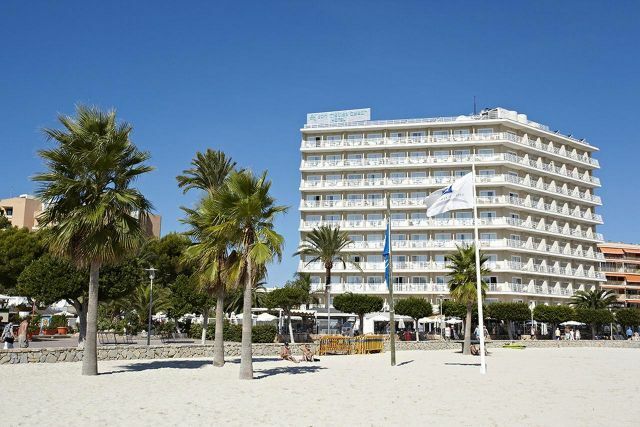 With an excellent location overlooking the beautiful bay of Palma Nova this hotel caters for adults only and has all the amenities of the resort on your doorstep including direct access to the beach. 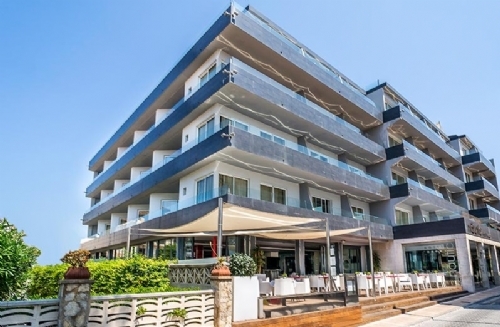 The 4 star Aparthotel Ponent Mar is situated around 50 metres from the beach, in the quiet residential Son Caliu district of the otherwise lively resort of Palma Nova on the south west coast of Majorca. 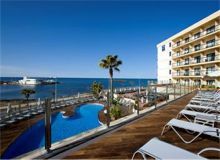 Part of the Intertur Group of hotels with an enviable location in Torrenova overlooking the lively resort of Palma Nova. The hotel is approximately 200 metres from the centre of the resort with a wide selection of bars, restaurants, shops and nightlife. 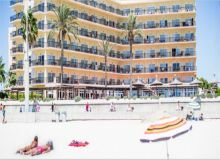 Situated in the popular Palma Nova holiday resort just a short distance from neighbouring Magaluf. The perfect location for families: this all inclusive hotel offers an array of great swimming pools and entertainment options for all. 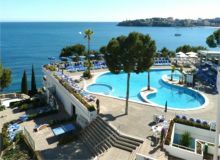 If you're looking for an all-inclusive family holiday to Majorca, that won't break the bank, then this hotel excellent choice. Excellent value for money, with excellent personal attention and facilities for children. 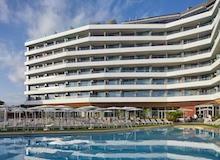 The Sol House Calvia Beach resort is a new generation destination built around three neighbouring hotels: Sol House The Studio, Sol Wave House and Calvia Beach The Plaza Hotel managed by Melia. This Hotel has been totally renovated in 2007, and is one of the best hotels in the resort. It is situated only 400m from the beautiful sandy shores and the centre of Magulluf which offers all kinds of attractions. 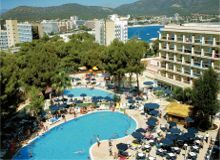 The HM Martinique is one of the most popular hotels in Magaluf and is ideally located in the heart of the resort, just a short distance from night clubs, bars, restaurants, and the beach. 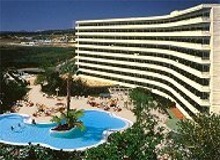 You can enjoy plenty of activities including swimming, sunbathing and the lively night time entertainment. 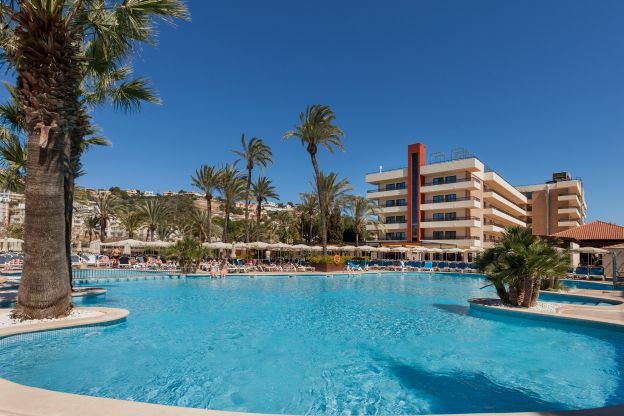 The Sol Katmandu Park and Resort hotel is ideally located 150 meters from Magalluf beach and alongside all of the shopping, dining and entertainment facilities of this busy and vibrant resort. Stylish, sophisticated and as elegant as they come, the Marina Luz is the perfect place for a Majorcan getaway. This beachfront property is located in Ca'n Pastilla. Aqualand is an area attraction, along with Mallorca Cathedral and Bellver Castle. Decorated in an urban and minimalist style, this hotel offers the utmost comfort and originality within a tranquil environment while allowing guests to enjoy the beauty of the Mediterranean. Positioned opposite the nautical club and ideally close to the shops, bars and restaurants. 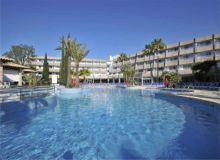 Extremely close to the beach, shops and entertainment facilities, JS Palma Stay Hotel has everything to offer. Please note that the JS Palma Stay Hotel is an adults only hotel. Located on the beach in the southern Mallorcan this hotel offers an outdoor pool, children's play area, 2 tennis courts and a free Wi-Fi zone. All air-conditioned rooms have a balcony with Mediterranean Sea views. There is a satellite TV and you can hire a safe and mini fridge.